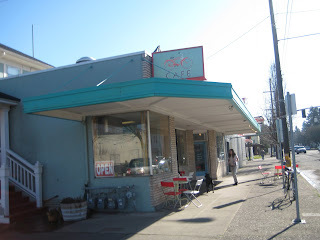 Ok, so I'm not sure how Kel and I have had this blog for so long and not written about Little Red Bike Cafe, but it is about time that we share our love. I discovered LRBC as a sophomore shortly after they opened their doors. I'm pretty sure there was a few months there where I was at the cafe weekly at least and it's been fun to watch their business grow. 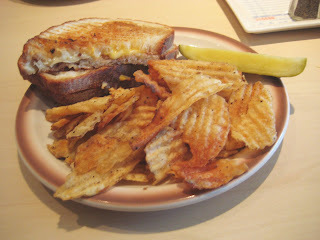 The first thing I ever ate at LRBC was their truffled grilled cheese with apple butter. It is heavenly and I still order it about 90% of the time. You have to ask specifically for the apple butter now but just do it...soooo worth it. While I find it hard to stray from my favorite, my dining companions usually share and let me tell you, there is nothing at LRBC that is not delicious. 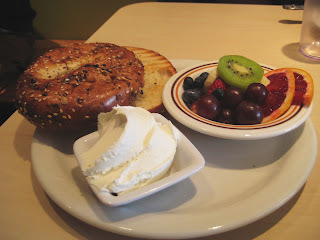 Today Kel opted for the bagel with a side of fruit but another one of our favorites is the honeyed yogurt. LRBC is also known for their tasty egg sandwiches like the zoo bomb and the berry milkshake is about as good as it gets. If all this weren't enough, LRBC also provides a discount for bicyclisits, has a bike thru window (open during the warmer months), weekly and weekend specials, and a blog that details not only the cafe's latest creations but also delicious recipes and anecdotes from the cafe's owners Ali and Evan (who just happen to be the cutest married couple ever). 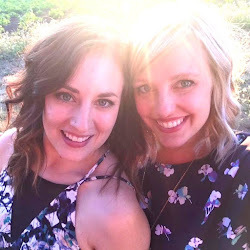 LRBC is everything that I love about Portland all wrapped into one: delicious food, friendly people, creative thinking, and a certain special something that you only find when people are doing what they love.